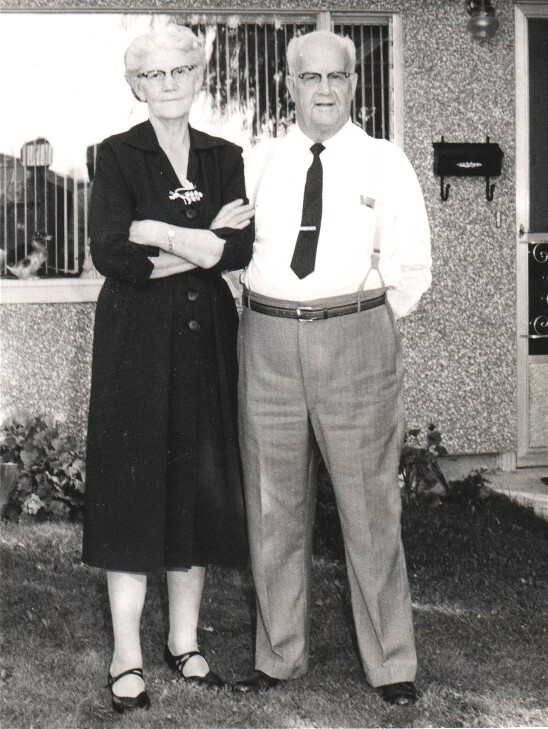 George Phillips, known as the "Whiskey Bottle Evangelist," lived in Tacoma, Washington, with his wonderful wife, Ella. It was there he started his bottle evangelism ministry on April 9, l940, just prior to World War II. He was an old time Methodist. Although he was never ordained into the professional ministry he was a man's man having a heart of great missionary zeal to win lost souls for Christ. "The World Is My Parish." "It is a source of never ending wonder to me that God should so use me in His service. When I was ten years old, I had a very Godly Sunday school teacher who planted the Word of God in my heart. When I was a boy in Lake Nebagamon, Wisconsin, old Grandpa Weyerhaeuser of the Weyerhaeuser Land and Timber Company was my Sunday school teacher. It was there that the fear of the Lord was implanted in my heart. My wife and I were saved in the Salvation Army, really born again, too. My life was so transformed that I immediately took an interest in the salvation of souls. This led to the bottle ministry and other unique methods by which God has enabled me to reach lost men. I promised God in l934, as I lay on my death bed, that I would go to the utter most parts of the earth for Him if He would raise me off the death bed. He did that. 'A higher power than us will have to undertake for that man' (meaning me). I know God can heal as well as save a man from sin. Glory to God and I do give Him all the praise and glory." He explained how he started his missionary bottle evangelism work. "I was down on the beach one day in April, 1940, not far from our home, and I saw the tide carrying driftwood along. Why couldn't I spread the gospel in the same way? I thought. God spoke to my heart right there on that beach. I put a message in a bottle and said I would send a small cross to anyone who found it. I finally received a note from some people who said that they had been looking for driftwood on a small island near our mainland. I knew then that the method would work, so we began it on a bigger scale." "I went into full time service for God and the souls of men, reaching them with the container of the devilish thing that once nearly caused my death (drink) for at one time I was a paralytic drunkard and that was when God saved me. At first we only had a rubber stamp with our address on it and we would put a slip of paper with our address on it with 5 or 6 gospel tracts rolled on a stick that a brother Carleton Null showed at a meeting in one of our churches in Tacoma a few months before that. It was there I learned to make the rolls (Gospel Bombs). Some may wonder why we call this roll of gospel tracts and the return card a Bomb. Well, you see, if this bomb should explode in one's head after reading it, one would have a head knowledge, as many have these days, and not a heart knowledge of salvation. This is something every believer must experience in his heart. As you well may know there is too much head religion. These kind of people do not worship God. They are the kind that worship their home, their business, and yes, even their children, wife or husband. Our God is a jealous God and He alone must be worshipped for there is no other God but Him. We hope that the truth of God's Word would explode in the hearts of those who read them. We also called them bombs because of their appearance, the tracts being wrapped in red cellophane. I collected clear whiskey bottles in all shapes and sizes from the city dumps of Tacoma and Ruston (here where I live) and also from garbage cans, streets, and alleys. These I cleaned of their filth and converted to a worthy purpose in much the same way that the Lord had cleansed my heart and life from sin and converted me to the task of salvaging lost souls for Him. Bottles which had been lying empty and void took the wonderful news of salvation to many a poor, lost, dying derelict. In the beginning I took these bottles by the sackfull and tossed them into the tide of the ocean for I had seen the tide moving the driftwood along and I knew that it would carry these bottles, as well. Later, I made it my business to learn the salt water movements and consequently, I launched my bottles much more wisely." "Not long after that my dear brother and co-partner, Brother Smith, died. That left me all alone in this work. It was tedious work but after I had been in the work a year the Lord enabled me to invent a roller which rolled and sealed in cellophane the tracts and return card in one operation. I loaded the bottles with sufficient sand so that they would be carried from one tide to another and not be blown ashore- they could be seen about one inch above the water and thus could be easily picked up. I soon had to buy me a printing press (a small one) and print my own return cards. I did not have to print my own gospel tracts because my brother and true friend, Tom Olson, who writes for 'Now' published by R.G. Letourneau, supplied us with many thousands of tracts free. 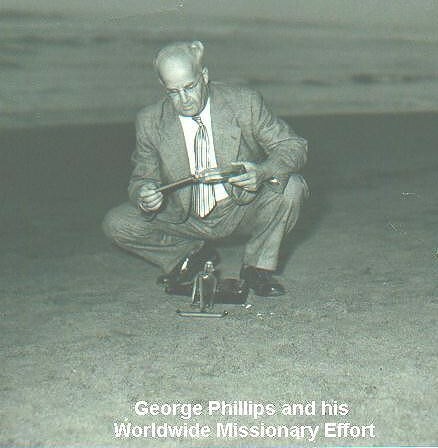 What we call our World Wide Missionary Effort really began in 1941. Walking along the waterfront near Old Town in Tacoma, I saw a large ship tied to the dock. I had an inspiration come to me to ask the skipper (Captain) if I could put bottles on his ship. I never did hear from one of those 24 bottles that was left on that ship, but I went on the next ship that was bound for Shanghai, China. I received two returns from that ship. I think one was from the Philippine Islands and the other from China. Also large tide bottles were thrown into the tide at Tacoma. They were found one at a time between Tacoma all the way north to the Bering Strait. The ocean currents are northerly out of Tacoma being approximately four miles per hour. Some of the tide bottles landed in harbors or on tiny islands in icy, northern waters where there was no other gospel outreach." "All through the war I placed bottles on ships and many have answered the return cards in the rolls. We reached many a soldier boy on other shores, some that had sat in gospel meetings here in the states and would not listen. But when things were going hard, they sure did take heed. Oh, how they thanked me for the gospel tracts, something from home. And as one boy said, 'It was food for my soul while we were going through the jungles of New Guinea.' They had found our bottles where some ship had thrown them off and they had been carried away up on some beach. A native handed a bottle to one of our soldiers, thinking it contained very important papers (they were). When the boy got back home he sent me the only tract that had our address on it and thanked me for reaching him with the gospel. Our work began on Puget Sound and was extended along the coast into Alaskan waters. Throughout World War II we reached soldiers on the intervening islands. We are certain many of the bottles landed on Russian shores along the Siberian coast during the war but, of course, we received no return cards from there." In a seven year period of time he was able to float over 15,000 missionary bottles into the Pacific Ocean. And it is estimated he floated a total of 40,000 missionary bottles in a 20 year period of time from the State of Washington, not counting the number of missionary bottles that were floated by the branch ministries he started in Ireland, Germany, Hawaii, Japan, and England. He used tracts in the following languages: English, Japanese, Chinese, Spanish, and Russian. He received replies from 40 foreign countries including Central Bedeque, Prince Edward Island, Japan, and Ponape in the Caroline Islands. "We are the Headquarters now for many a co-worker in many parts of the world, such as Belfast in Northern Ireland, who have started a larger work there, now, than we have here, learning through us how to use the bottles in this unique way." Missionary bottle evangelism work was so successful in Ireland that news of it soon spread to England. A Christian worker from Liverpool began working there in this regard and his group was known as the Merseyside Bottle Evangelists. George wrote, "I don't know if you know this or not, but it is through bottles (tide bottles) that they make tide charts for ships and also wind charts. The ship ones have a bottle paper with many languages on it and this is found and sent in to our Navy Department in Washington D.C. It was during the war that the Navy Department sent me one of the nicest world harbor maps I have ever seen. It was 4 x 8 feet, containing all the harbors in the world. Bless their dear hearts, they sure did me a good turn there, and they have sent me many tide charts and wind charts." What were some of the results of his missionary bottles? In the southern part of the U.S.A. there were two states, Texas and Louisiana, that were hit by a terrible hurricane called "Audrey" in l957. As is the case with most hurricanes there was also great wind, rain, and waves with Audrey. People were killed, homes were wrecked, and there was much destruction. Two of George's missionary bottles had been floating in the current in the Gulf of Mexico when the hurricane hit and were driven ashore and found unbroken amidst the wreckage. The messages inside gave hope and comfort to the bottle finders. One was found at Holly Beach and the other at Johnson's Bayou. Each of these Louisiana communities was hit hard by the hurricane. The bottles were floated in July of 1951 and had been afloat for about 6 years. God let the Louisiana people know He was the comforter even in the midst of their suffering. Another one of his missionary bottles floated for four years and two months. It was piloted by God to the island of Kyushu in Japan in 1952. There, a teen-age Japanese boy named Timothy Nakamura found it. Inside of the boys heart was a great struggle going on. Tim's father wanted him to worship the idol Buddha and accept Buddhism as his life long committed religion. But Tim wasn't so sure. It is true his ancestors had worshipped Buddha but the religion of Buddhism seemed so empty. 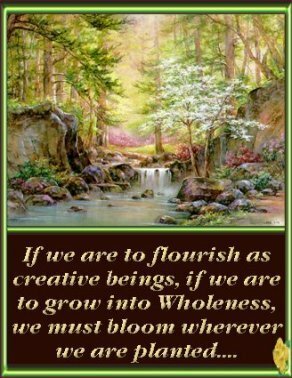 Tim had wondered if he might find peace in his heart through another way rather than Buddha but if his idea were correct, then what or who was the other way? He worshipped Buddha at the Buddhist temple at Higashi-ichiki, Japan, and then walked to the beach. 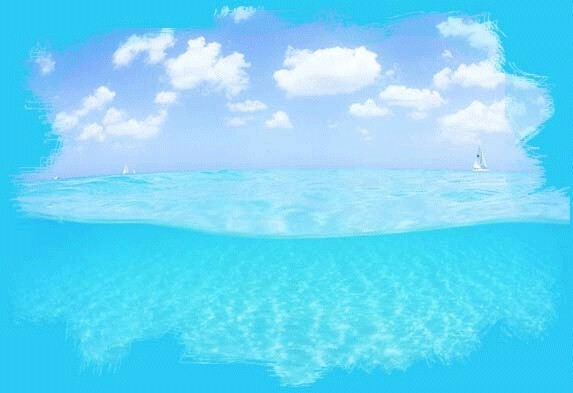 He stated, "It wasn't customary for me to go to the beach after leaving the temple but that day I went. I was confused. I didn't know what to do. I couldn't really accept the Buddhist beliefs, although my father insisted that I do so. As I walked along the beach, thinking, I saw a bottle at the edge of the sea. There was a paper in it. I smashed the glass against a rook and read the paper, and as I read I knew that this was the answer to my problem." Tim read the tract printed in Japanese that had been inside of the missionary bottle. "It washed ashore on my island of Kyushu just at the time when I needed it most," remarked Tim. Tim wrote to George Phillips and George sent him letters and more tracts in Japanese that helped him accept Christ as his personal Saviour. Wishing to begin a prison ministry, a year later Tim worked with inmates at the Tokyo Police Department where be worked at secular employment in the fingerprint division. He came to America and studied in three colleges in order to become a Christian minister. Tim went to see George at Tacoma in 1957 and personally thanked him for his efforts in sending out the missionary bottle that carried the gospel message that God used to save him. What would have happened if George never sent out that missionary bottle? "A dear soul at Lake Bay, Washington, found one of our bottles. She thought it was a booby trap and called the Seattle F.B.I. (Federal Bureau of Investigation) and asked them to come out and take it away. In two or three days they came out and looked at it and laughed. It was just another one of Brother Phillips' "Bombs". Well, the dear soul took them up to her house, not so far away, and baked them a cake and gave them coffee. They said when they left that they hoped she would find another one so they could come out again." (Note: For those folks reading this who live overseas, a booby trap is "a concealed grenade or mine attached to some harmless looking object and set to explode when this object is disturbed by an unwary person"
(definition rendered by Webster's Dictionary). "Bottles were thrown into the Yellowstone River some years ago at Miles City, Montana. It might have been in 1946. One day, Sunday afternoon, a father and his boy were sitting on the banks of that river. He had once lived in Seattle, Washington, and had found that every church was wrong. He moved to Montana to a small city there and also found that all were wrong there. He made up his mind that he would get away from God altogether and so he moved to a small town a little over 300 miles down the Yellowstone River, 11 miles out in the country. He bought a dry land farm along this river and a few years went by. It was then that the boy ran down to where the bottle was caught and took a hold on the neck of the bottle and brought it to his father. They sat there and read the gospel tracts that were in the bottle (6 in all) and read the return card that was in the bottle. This man wrote me about a 300 word letter and said that if any religious person had spoken to him that Sunday afternoon about church or even salvation, he would have gotten very mad. He said he did not have no one to talk back to or argue with. He took the literature home, which he said was about a mile away from where they were fishing. That night he and his family read and re-read those tracts and the next Sunday morning they went to town, attended church, and gave their hearts to the Lord." "A Man Trying to Get Away from God"
I know you will be thrilled to know we found one of your bottles, and I must tell you how Jack found it, but before I do I want to tell you the first part of our life. We were both saved in a little church in .....three years before, and we had such hope of being in service for the King; in fact, we were to go to Bible School in two weeks when one of Jack's chums came home from college. I was almost sickened when he came into our home, for he was a very worldly fellow, and had been a very good chum of Jack, and be asked Jack if he wouldn't drive him to a place in town where they were going to have a home-coming party on him, and be did not have any car. Jack told him that his life had been changed, and that he didn't run with the old crowd any more. Jack said he would take him over, but would not stay, and so he left; he only lived about 8 blocks away with his mother. That night was the fatal night for Jack, for as they were winding along in the car he offered Jack some candy, which Jack took, not thinking of any evil coming of it. Well, it had the knock-out blow in it (knock out drops) for it made Jack just like he was drunk, so that his chum had	to take the wheel and drive around for awhile, and, of course, that's what his chum wanted was to make a show of him at the party. He said afterward: 'Oh, it was only one of our college tricks that we play on our friends.' He took Jack all over town to see Jack's friends, and even the preacher saw Jack, and was Jack sick from it, just like he had been drunk. As quick as he came to himself, he came home as fast as he could, and I put him to bed. Jack turned to me and said: 'Dear, will you forgive me for what I've done?' I was so saddened I could not say a word. I was praying in my heart all the time that Jack wouldn't take it too strong and go back, for Jack did get mad quick when he was unsaved. I looked at Jack when he asked me again, for I could see in his eyes he was mad. Jack said: 'I know you have done nothing,' and we both cried till nearly noon when a knock came at the door, and one of the old busybodies of the church came to see if she could find out more about the case; for most Christian folk, that is, if they are real Christians, don't tell everything they see and hear. But she didn't stay long when she found out we wouldn't tell her all, or say anything about what the Pastor had done. Well, we stayed in all the afternoon and evening, and the next day we were to have such a good time, for it was Sunday, but we stayed in all day and talked over the future, and what we would do next. Around 10:30 p.m. Sunday night there came a knock at the door, and here was our old friend, Grandma Kent, and she said: 'Can I come in at this late hour of the night?' 'Come right in, Grandma.' Oh, she was so sad, bless her old heart. She started right in to tell us not to worry; that the Lord would fix everything up all right, but Jack spoke up and said he was through with the church, and she tried to get Jack to come on Tuesday night and tell what happened, but he would not. For the past 14 years we have lived in a little sawmill town on an island in P.S., about 60 miles from Seattle. For 14 years I have prayed for Jack, and that he would get a hunger for Salvation, and a place to worship. I don't dare bring the subject up, for he is bitter toward the church. Jack worked in a sawmill until the last strike, and then he got himself a boat and fished ever since. We wanted to buy a home, but when the strike threw him out of work it has taken the most we had saved up to buy the boat. And, too, I have prayed that God wouldn't see fit for him to buy a home here on the island. We had never opened up the little roll Grandma had given us when we left; we just left it the way it was. We had gotten a letter from a friend long since that Grandma had gone home to be with the Lord, and we thought it would be nice to leave it just like she had given it to us. Well, all the time Jack has been fishing he has been alone, and so have I, and I have been praying, and God never fails. He will answer in His own good time. Jack has had time to think, and he has been bothered, too. Last Friday came the answer to my 14 years of praying and waiting on God. We lived about two miles from where Jack kept the boat. He had built a small landing for his boat. Jack is sometimes very tired when he comes in at night, and so I nearly always go down to meet him around 5 p.m.; but this afternoon he came in early so as to come in with the tide, and I want to say right here, God knew just when he should come in. Oh! I could see for a long time that God had been working with Jack. He was so under conviction, but I let it rest with God, for we sometimes spoil the working of God. God says, 'Be still and know that I am God.' Well, Jack has sat just as long as he can now. Mr. Phillips, he says let me tell the rest, and so here is Brother Jack now, for he has come back to God. Yes, Mr. Phillips, I want to tell you just how He brought me back to Himself and to my senses. As soon as the tide had started to change I felt something pulling at my heart strings. I could hardly wait. I got so much in a hurry to get home for some reason or other, I couldn't hardly wait to pull in my lines. I didn't care if I got any fish on the hooks or not, and when I got the lines in I started for home, and it seemed I couldn't get there quick enough. It was God's time. Praise His Holy Name. My, how the tide did run! I didn't hardly have to row, and it landed me at the pier so easy. I never saw the tide so strong before. I tied the boat up and without even taking my fishing outfit to shore with me. I just laid it on the pier and walked toward shore. I don't know what my hurry was, and as I was about ten feet from shore I saw a bottle drifting along by the beach, and if I had been three minutes later I would have missed it, for it was going fast. And do you know it, it is the first whiskey bottle I have seen in the water since we came on the island 14 years ago. I don't know why I picked it up, for only this one thing, I saw something red in it, and so I stooped down and picked it up, and I saw it had a roll in it. I looked at my watch and saw by this time it was 4 p.m., one hour before my wife would come down. I don't know, but the hurry had left me for some reason or other, and, say, was I tired; so I took the bottle up a ways to a place where my wife always sat to wait for me, and I sat down. At first I was afraid to open it, thinking maybe it was some kind of a bomb. I unscrewed the cap and was very careful until I got it out, and then I saw it was something rolled in cellophane. Well, right here I want to say I was ready for any kind of food for the soul. The time was ripe, and God knew it. I believe, though, if some church person had spoken to me I would have gotten mad at him or her. Yes, the time was ripe, I was ready for any kind of message from God, and that is just what it was, and it came in the right time, just as God had intended it should. For, as I said, if I had been three minutes later, and that bottle went three or four feet farther along the beach, I would maybe have never seen it. Well, I always loved to read, and so I started in and it said, "I never was guilty of a wrong action, but on account of my life, lives have been lost", and I thought, 'oh, maybe I have caused my wife to be lost, and then I thought, 'just think of the souls I could have caused to be saved if I hadn't been so obstinate, and had listened to Grandma'. and I got on my knees and I said, 'Oh, God, my God, please take me back, and forgive me of all I have done', and Father God was waiting for me with out-stretched arms as He is for everyone who will call on Him. We had a prayer meeting right there on the beach. Well, I didn't read the rest of the tracts, but I know this, if they were like the one I read, they are for every poor lost sinner like I was. 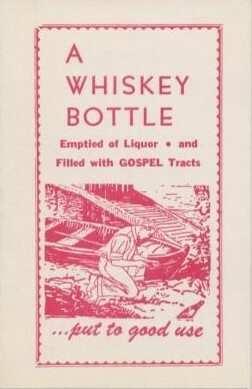 Oh, thank God for Gospel Tracts, and the Gospel work of putting the tracts in bottles. It will find the soul it is intended for. For God has an all-seeing eye. P.S.- I nearly forgot the small roll Grandma gave us the night before we came West. It was 10 ($100 bills) and a will to her home in Illinois. Here is the home I was praying for, and not where there isn't any churches either." "I took care of him in bed many months. But he was a real Christian and very good to take care of. But God gave him a good life and what he could do for God he enjoyed very much." After his death his World Wide Missionary Effort ceased to exist and passed off of the stage of world events. Total Reported Results: Out of the 40,000 missionary bottles he floated, the total number of conversions to Christ are unknown, out of the 1,500 bottle finders who contacted him in a period of 20 years. <!-black-> "I so enjoyed your articles on George Phillips. As a young boy, maybe 6-13 years old, 1951-1958, my parents and I knew him and his wife personally. Although we lived in Lakewood, we attended their church in Tacoma, and my mother and I would visit them in Ruston. They were like "family" to my mother and I when my father was in Korea (US Army). We called them "Aunt Ella and Uncle George". 5310 N. Shirley, Ruston, Washington -. Who knows why a small boy would know anyone's address other than his own, and remember it all these years?? But, as a result in 1990 or '91(? ), maybe, we stopped by with our son, daughter-in-law, and 1 year old grandson, on vacation, to see "aunt" Ella. She was old, of course and feeble, and her niece (if I remember right) had dropped by to check on her that day. Other than her age, she hadn't changed much at all, but after 40 years, I know she wouldn't have recognized me without an introduction! <!-black-> We moved from the Tacoma area in 1958, to Walla Walla, then in 1960 to Dallas, Texas. We have lived in Texas ever since. <!-black-> This photo of the two of them was sent to my parents in 1962, according to what is written on the back. <!-black-> Everytime I think of "Aunt Ella and Uncle George", it brings good memories, and a smile to my face. <!-black-> It's inspiring to know someone can affect the world-wide, just by working out of the back of your home! <!-black-> I know they were certainly an inspiration to me! They were instrumental in my salvation, although I actually gave my heart to the Lord with true "understanding" about a year after we'd left their church. <!-black-> I Thank you so much for your efforts to put them on the internet and sharing their story!"